Every year there are new SEO trends to look out for! According to 2020, about 30% of all the website sessions might get carried on not using the screen. If you’re thinking how that is possible, ponder on the voice search tool. Voice search is a unique tool that enables customers to browse the internet and web without having to scroll the websites on mobile and other computing devices. In the coming years, this technology will gain prominence. Through a voice search users usually, speak to a device instead of typing the keywords in the search query box. The advanced audio technology today makes use of speech identification to determine what the users say correctly. The result gets delivered orally to the user. Even though this appears to be a new concept, but it has been present for a while. The programs like voice dialing and speech-to-text are significant instances of the voice search. Today, applications such as Siri, Alexa, and Cortana are all extensions of voice search capacities. You can optimize special devices for voice search, websites, and platforms. Voice search will enhance the user experience by 2020. It is anticipated that most of the online searches today will take place via voice search. Owing to its prolific use, Google and other search engines today place increased emphasis on voice search optimization. The primary objective of SEO is to rank the sites correctly so that the users can find the correct data for their information as fast as possible. The user experience is the central aspect of search engine optimization. However, you need to know that traditional SEO and voice search SEO are very different. Hence, a few factors that impact website ranks might or might not generate the same impact on voice search. The moment both online users and customers opt-in for voice, they are usually expecting to finish a specific action. For instance, it can be making an online payment, playing an instrument and the like. Both traditional and voice search SEO have different intentions. However, Google still makes use of the same algorithm for ranking the websites. The moment users search for online content on mobile or a desktop, they write in short sentence. For instance, if an online user wants to look for an SEO professional, he/she would type “best SEO consultants” in Google. However, when they make use of voice search, they are likely to say something like this – “Who are the best SEO consultants for 2019” or any other location. Hence, to make sure that your content gets optimized for voice search, ensure that you add-in relevant long-tail keyword in your content, as that will sound natural and the site will do well in desktop SEO. Alternatively, it is essential to keep your phrases short and straightforward. Hence, even though you might be having top-notch quality content, you need to weave it simply today, so that most people can understand the same. Furthermore, it is essential that your content is between 1800 and 2500 word count. You can also write short content between 300 and 500 words. Opt-in for a trial and testing process, to make sure that you gradually arrive at the correct mix for yourself. An average voice result will be of approximately 29 words long. However, even though we know that short answers are always better, we need to understand the ways Google will recognize the same and read it to online users. Here, you might want to develop a featured snippet. Simply put, a featured snippet might also be known as position zero. It usually is a summary answer from a website. When it comes to desktop search listings, you can make the snippets appear right after the paid ads prior to the daily search listings. Do you want to optimize the content for a recognizable featured snippet? If yes, then you have to add in a summary of the primary content atop the fold which is under 29 words. You might have certain sections which make use of bullet points, lists, and hashtags, which Google can read easily. Additionally, make sure that you add the long-tail keywords in the featured snippets. However, it is essential to determine, if voice search can generate website traffic to your site. Even though it might seem that voice search doesn’t contribute directly in the Google Analytics Reports, it sure does make traffic in the site. First and foremost, the moment Google reads the results directly from the voice search listings; it provides the site a shout-out. And this certainly maximizes the brand awareness. That aside, the users can scroll via the written dictations of the search outcomes, that comprise of links to sites that get used as a resource. It enables them to browse through the site conventionally and also maximizes the organic traffic the moment it does so. 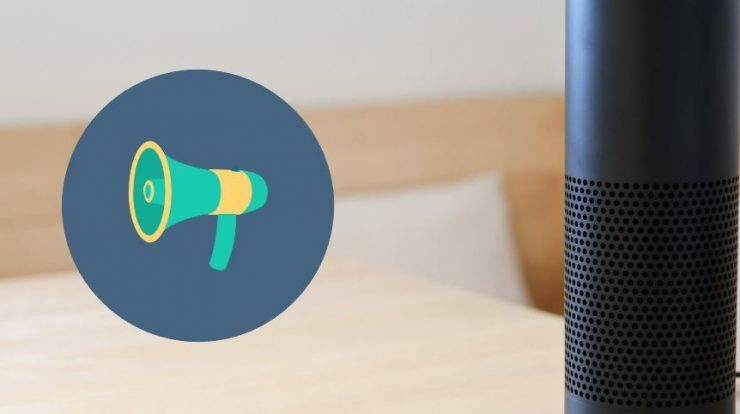 We can conclude that voice search has a chance to enhance other crucial metrics, for instance, media plays and online sales on sites such as Spotify and Pandora.